Wow, look at that tongue. 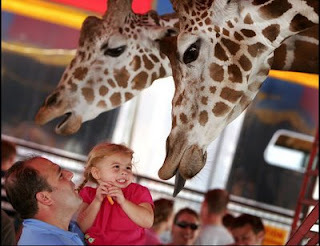 Im not sure if this little kid is happy to have such close contact with a giraffe, or a little afraid. Her dad seems to be quite comfortable with it all. I think they are tame giraffes..